This large square in the centre of Lyon is vitally important in the city's history and the fourth biggest of its kind in France. 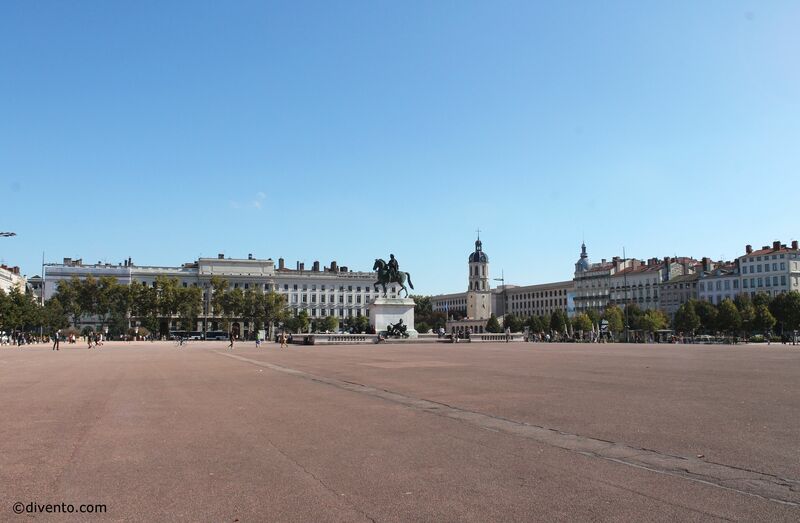 This large square in the centre of Lyon is the fourth biggest in France. There’s an equestrian statue of Louis XIV in the middle, flanked by two statues representing the Saône and the Rhône at his feet. 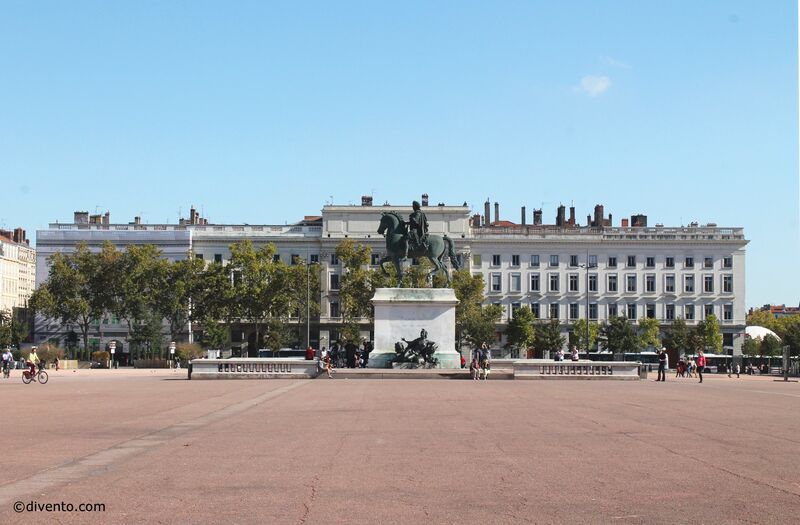 The square is very important in Lyon’s history: during the Renaissance, places (squares) where were people went to discuss everything, from their ailments to politics, arts and culture. During the Revolution the royal statues were torn down and replaced by guillotines. 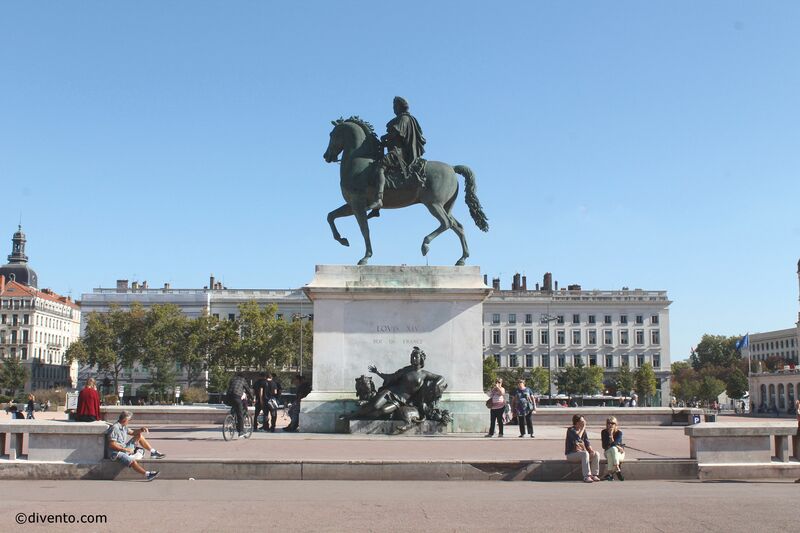 Today, the square is still the heart of the city; you could say: 'all streets lead to Place Bellecour'.